Start your vacation early with live views of the beach. 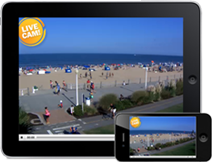 Check surf forecast, weather conditions, and beach activity. 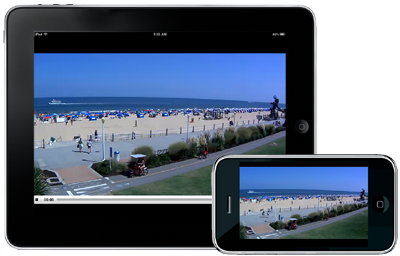 Our webcams play on iPads and iPhones which makes it easy to watch the beach anytime you want.